With a US release date around the same time as Peter Jackson's first part of The Hobbit. 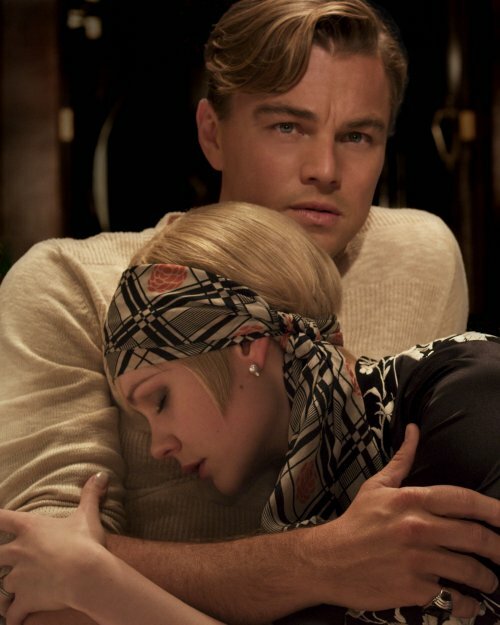 Warner Bros has released the first two images of the latest version of F. Scott Fitzgerald's classic, The Great Gatsby. 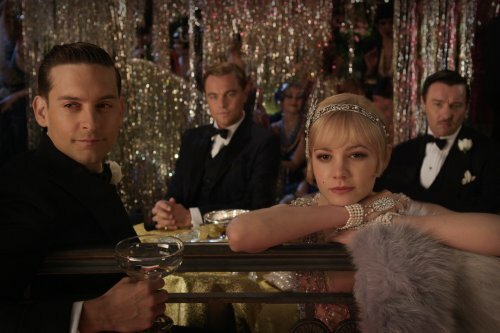 "The Great Gatsby" follows Fitzgerald-like, would-be writer Nick Carraway (Tobey Maguire) as he leaves the Midwest and comes to New York City in the spring of 1922, an era of loosening morals, glittering jazz and bootleg kings. Chasing his own American Dream, Nick lands next door to a mysterious, party-giving millionaire, Jay Gatsby (Leonardo DiCaprio) and across the bay from his cousin, Daisy (Carey Mulligan) and her philandering, blue-blooded husband, Tom Buchanan (Joel Edgerton). It is thus that Nick is drawn into the captivating world of the super rich, their illusions, loves and deceits. As Nick bears witness, within and without the world he inhabits, he pens a tale of impossible love, incorruptible dreams and high-octane tragedy, and holds a mirror to our own modern times and struggles. Are you Naughty or Nice? Rocking out with Tom Cruise? West Midlands school girl wins Rupert Grint! George Takei to the rescue? The Dark Knight Rises gets a new poster? Are you The Lucky One?